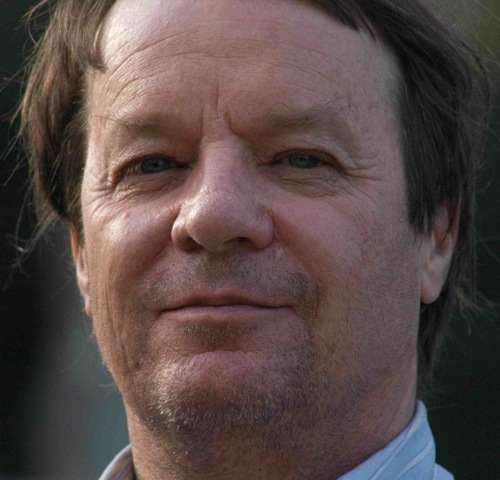 Ian Irvine is my guest at The Book Chook today. He's visiting as part of a blog tour for his recent novel, The Calamitous Queen. Find out more about the tour via Ian's blog. BC: Ian, welcome to The Book Chook. Can you tell us a little about yourself and your children's books? Ian: Thanks, Susan. Firstly, I didn’t start out with any intention of becoming a writer, though from my earliest days I devoured books. At school I was really interested in science and I’ve spent my working life as a consulting scientist investigating water pollution and pollution in the sea. Then, about 25 years ago, I had a powerful urge to write, and I started out writing epic fantasy. By the time this work was eventually published, it had become an enormous 11-book series (so far!). It’s been a bestseller in Australia and the UK and has been published in many other countries and languages. You can read about it here. First chapters for all 27 of my books, and some shorter works, can be read here. These days I write full time though I still do some of my scientific work, just for variety. 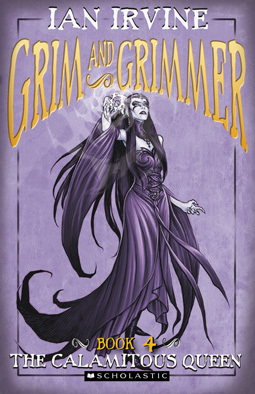 I’ve also written 12 children’s books, my latest series being Grim and Grimmer, a quartet of humorous fantasy novels for ages 9 and up (though quite a few adults seem to be enjoying them too). I’d never written humorous fiction before, so taking on this series was rather a challenge – what if I wrote the books and they weren’t funny? But reviewers have been kind, and I have to say these books are the most fun I’ve ever had writing. Perhaps this was because, for the first time, I let go and got in touch with my wild and wacky side. The book that has just been published is Grim and Grimmer 4, The Calamitous Queen, which was the most fun of all. Book covers, reviews, blurbs, first chapters, and some readings for these books can be seen here. BC: I know you're conscious of writing books that engage young readers. What do you do to promote that? Ian: I begin with a flawed but likeable protagonist, give him or her a big problem in a bad place, then keep the laughs and the adventure flowing all the way to the end, which always has a twist or two. In the Grim and Grimmers the hero is Awkward Ike, who is well-meaning but useless at everything except drawing. Ike has accidentally betrayed Princess Aurora to the wicked Fey Queen, Emajicka, and he’s caught and chained to a guard imp called Nuckl who wants to eat Ike’s liver. With the aid of a clever but reckless thief girl, Mellie, Ike escapes and they set out to rescue the princess. But the Fey Queen is stealing the children of Grimmery for her Collection. She bathes in their nightmares to relieve her own, and there is one nightmare she wants most of all - Ike's. BC: What tips do you have for parents who want their kids to love reading? Firstly, read to them from a young age. Mum read to us when we were really little, then Dad took over until we were about 10 or 11, and we did the same with our kids. Reading to your kids is important because it teaches them about stories and storytelling. Without it, some kids will never get into reading for pleasure, not because they don’t have the skills, but because they never enter into the fictive world when they’re reading. In order words, the story doesn’t mean anything to them. BC: What tips do you have for young writers? Ian: The most important attribute you need is determination, because it’s incredibly hard to get published, and just as hard make a living at writing once you have been published. Lots of people are good at writing but that’s not enough to succeed. What really matters is that you’re utterly determined to learn the craft of storytelling, no matter how long it takes and how many disappointments there are on the way. I think that most people can learn the craft of storytelling, if they’re prepared to put enough time and effort into it, and I believe such people will get published. There are a number of articles about writing on my website. Here’s one of them. BC: Is writing fun or hard work? What's your favourite thing about writing for kids? Ian: It’s both fun and hard work. I’ve been a full-time writer for 12 years and I work hard at my writing, about 60 hours a week most weeks, and longer when I’ve got a big deadline to meet. Writing is hard and frustrating, and no matter how well it goes one day (or one book, for that matter), the next day and next book one is starting again from scratch. First drafts are particularly frustrating because, no matter how much planning I’ve done for a book, it never seems real until I’ve come to the end of the first draft and read what I’ve written. But having said that, it’s hard work that I love. It’s the best job in the world. I like writing for kids because I think they’re mainly looking for good, strong stories about likeable, believable characters, and that’s the kind of book I like to read myself. And write. BC: Do your own children love to read? What sort of books do they like? Ian: I have four children and they all love to read, though they’re all grown-up and have left home some time ago. When they were little they liked the usual books – Dr Seuss, the Berenstain Bears and so forth, and when a bit older, Roald Dahl, The Hobbit, Goosebumps. In their teenage years they read a lot of fantasy – even, dare I say it, some of my books – though I don’t think they were ever their favourites. Sigh! I also have a large and active Facebook author site with competitions and giveaways every week.